I don't know how I had the foresight, but before I knew we'd have 11 straight days of guests starting a week before Thanksgiving I booked a single ticket for myself to see Michelle Obama on the Boston stop of her book tour. A few month's prior I had set an alarm the day the tickets went on sale to try to snag two tickets to no avail; I could only purchase one. They sold out so fast! Somehow it all worked out because after a long week of hosting I slipped out of the house to catch a train downtown for two hours with Michelle Obama. It was everything I needed. TD Garden was buzzing with (mostly female) energy when I arrived 15 minutes prior to the 8p.m. start time. 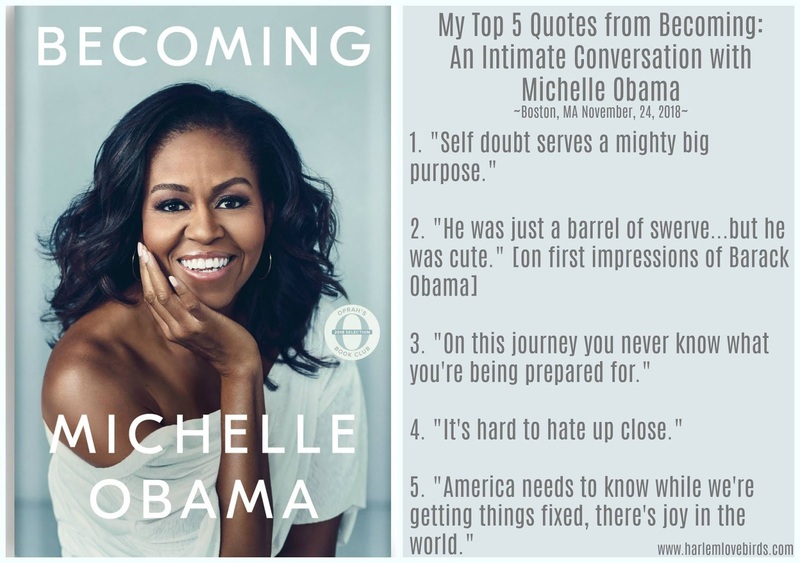 There was an airy, blue Michelle Obama back drop reflecting the design of her book which was swamped with people waiting in line to take pictures as well as a couple merchandise tables with snaking lines. Instead, I chose to take myself right to my seat and settled in taking in the b-roll footage of past appearances of Michelle: dancing with Ellen, Carpool Karaoke with James Corden, hanging out on Sesame Street, etc. It was at that moment I knew I should've brought my tissues. As the conversation started, guided by Michele Norris, a trusted voice I had heard for years on NPR, I was reminded of how I felt when I first heard Michelle last year at INBOUND: this two hours would not be enough. Not nearly enough, but I was content. 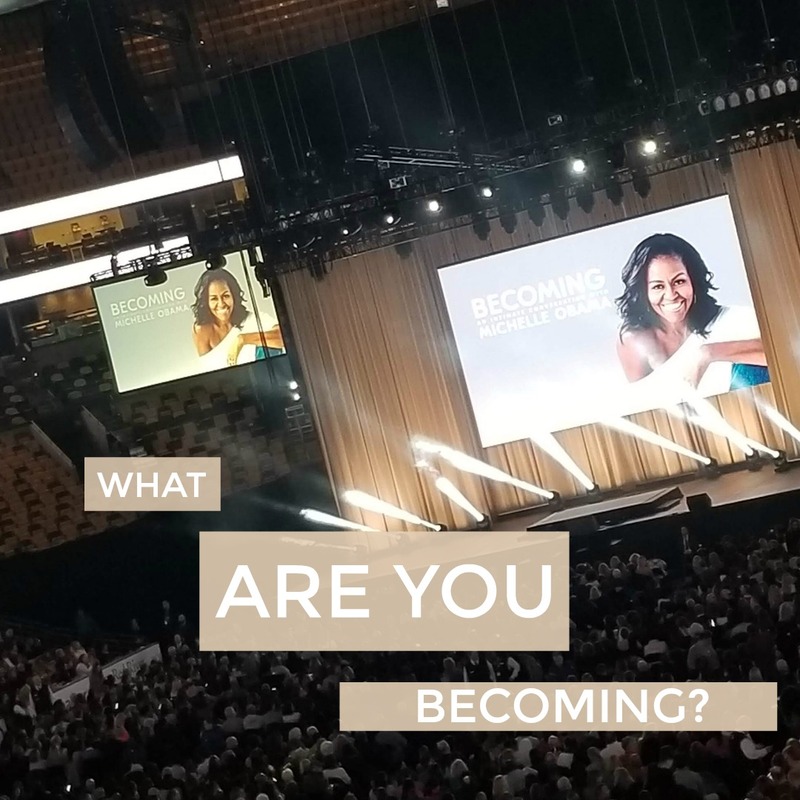 Have you read Becoming? I highly suggest listening to the audio book. Hearing her words in her own voice means so much. It is powerful.